Dogs are even smarter than we thought as they likely have the ability to understand mean things said to them in a friendly tone. According to a new study making this suggestion, dogs can distinguish between words and the intonation of human speech by using brain regions similar to those used by humans. The study, to be published in the Sept. 2 issue of the journal Science, is expected to help scientists better understand the neural networks needed to understand speech. According to the researchers, the results of the study hint that both humans and dogs may have relied on similar networks that existed before language evolved and led to process speech. Vocabulary learning “does not appear to be a uniquely human capacity that follows from the emergence of language, but rather a more ancient function that can be exploited to link arbitrary sound sequences to meanings,” Attila Andics, a research fellow at Eötvös Loránd University in Budapest, said in a statement. People use words — the basic building blocks of human language — and intonation to understand speech. While both these mechanisms are hardly found in nonhuman vocal communication, researchers involved in the study explored whether dogs also depend on words and intonation. 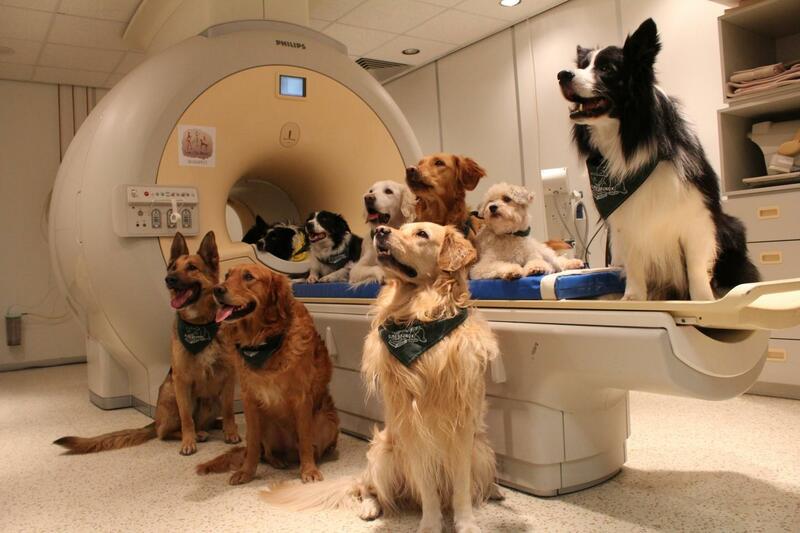 As part of the research, 13 dogs were trained to lie motionless on a magnetic resonance imaging (MRI) scanner for several minutes and listen to their trainer's speech while the researchers were measuring their brain activities. The dogs were then exposed to a series of words recorded by their trainers, including both praise and neutral words, spoken with high-pitched praising intonation as well as with a flat, neutral intonation. After analyzing the MRI imaging of the dogs’ brain activity as the animals listened to each combination, the researchers found that the dogs — regardless of intonation — responded to the words of praise with heightened brain activity in the left hemisphere in a way similar to humans. The researchers also found that the dogs processed intonation separately from vocabulary, in auditory regions in the right hemisphere of the brain. 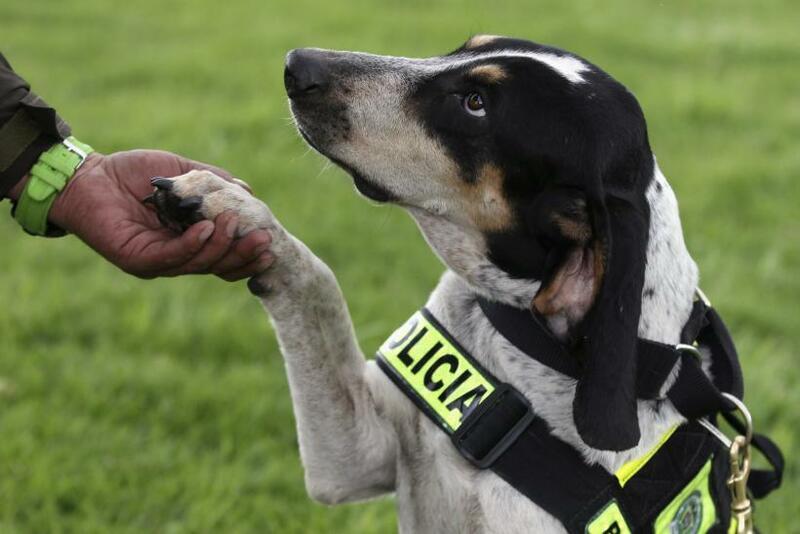 In addition, monitoring the reward regions of the brain revealed that the dogs responded best when they heard praising words spoken with a praising intonation. “This shows ... that dogs not only separate what we say from how we say it, but also that they can combine the two for a correct interpretation of what those words really meant,” Andics said.